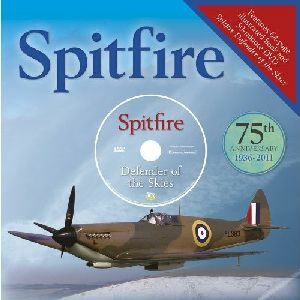 Gift Set including a 64-page paperback book with a 50-minute DVD Spitfire Defender of the Skies in large format slipcase. Spitfire tells how R J Mitchell's design for a single engined fighter became the legend that is Spitfire. Celebrate its 75th Anniversary by finding out more about this transport icon with this superbly illustrated book and accompanying DVD.